Important Information Regarding Policy & Procedure Changes. important policy changes that require immediate compliance. If you have not yet received the letter, you will soon. We have attached the information to this email. Please take a moment to review them and save them to your computer for future reference. Then, make any necessary changes to your marketing materials. Click the link below for the information – it’s up to you to ensure your compliance. 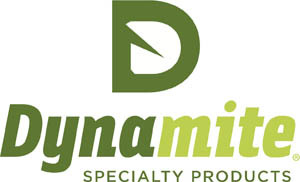 We are standing by to help you: (800) 697-7434 or compliance@dynamitemarketing.com. Thanks for your prompt attention to these mandatory changes. PS. Some of your downline may have “opted out” of emails. If you personally forward this to your organization, it will ensure everyone has it for future reference. Not sure how to email your organization? Call us & we’ll happily walk you through it. *Canadian Rules & Regulations are different. Canadian Distributors, your information should also be showing up shortly otherwise if you have immediate questions, contact customer service (800) 697-7434. Next postJoin Anna in West Virginia!